It’s impossible to go into Suicide Squad without being aware of the studio shenanigans that have apparently been going on behind the scenes. Stories of last-minute reshoots, changes of tone and duelling edits abound, such that an objective view of the film is very, very difficult. That being said, it was immediately apparent to me that this was a hodgepodge effort. It begins with possibly the worst first 15 minutes of any blockbuster in recent memory. Shoddy pacing, uneven tone, a stuttering soundtrack that goes from drop needle to drop needle to random overly dramatic scoring – the opening has to be seen to be believed. Characters get introduced twice. We have two scenes sitting side by side that serve the same purpose. Then we have other characters who are given no background whatsoever. It gets more problematic as the film goes on. At one stage, our central team of bad guys on a mission at the, ahem, behest of the Government learn something that shakes them to their very core. Except we, the audience, have had this piece of information for the last hour, so the impact is negligible. On another occasion the squad finally see a character’s previously hidden powers unleashed – but we already saw them earlier on, so it leaves little impression. Then we get random flashbacks that, whilst looking pretty, serve no purpose. And we have scenes that are clearly last-minute additions because the VFX looks slapdash in comparison to the other effects. This really gets my goat, such that a Hyperbole Warning is necessary. Consider yourself warned. Are you ready? All right, here we go: I could have done a better editing job on Suicide Squad. In fact, anyone with a passing knowledge of story structure and appreciation of film could have. And I don’t even need to see the 1+ hour that’s surely on the cutting room floor; I COULD HAVE EDITED THIS FILM BETTER PURELY BASED ON THE MATERIAL THAT MADE IT TO THE FINAL CUT. I sound like a prat, I know, but it’s clear that there was a good movie in here somewhere. Considering David Ayer’s (mostly) excellent resume, it seems likely that his rough cut would have actually pleased me. This is distinct from Batman v Superman, where I’m not at all sure a good movie was lurking amongst the dailies. There are moments – scenes, lines of dialogue – where this film comes to life. For the most part, any extended scene (where things are allowed to play out the way they were originally intended, I presume) shows promise. Particular mention should be made of the Escape from New York-style plot, which works a treat for the central premise: that the Government has forced a bunch of supervillains to do their bidding. And in charge of it all is Amanda Waller, played to perfection by Viola Davis. In fact, Waller is one of the few characters this movie gets right. 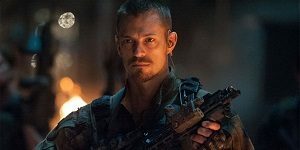 Will Smith is decent enough as Deadshot (and certainly better than his ‘Arrow’ counterpart) whilst Joel Kinnaman puts in a solid performance as Rick Flagg, the closest the film has to a “good guy”. Jai Courtenay and Jay Hernandez put in decentwork as Captain Boomerang and El Diablo respectively, whilst Adewale Akkinuoye-Agbaje has some great make-up but gets stuck with the least interesting role as Killer Croc. 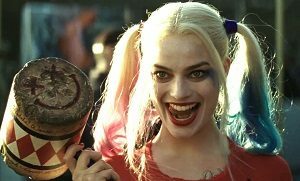 Then we get to Margot Robbie’s Harley Quinn. Now, there’s no denying that she is a great fit for the role. The problem with Harley, however, is that she’s really, really difficult to write well. Ninety-nine per cent of the time you end up with a story that’s romanticising domestic violence, and that’s pretty much the case once again here. The object of her affections, the Joker, is present and accounted for, though Jared Leto’s performance left me cold. Your mileage may vary, but for me, it was never more than an impersonation. Suicide Squad is a mess, but as I’ve said, it’s all the more frustrating because it could have easily been straightened out. Or, even worse, it perhaps was a decent film before all the meddling subsequent to principal photography. My only request now, Warner Brothers, is that you please, please, please don’t interfere in Wonder Woman, the DC film I’m most eager to see. For better or worse, let the filmmakers make their film, because the damage control carried out here simply feels like damage.